Were there any passengers on that train? I was so focused on getting my video and stills, that I didn't notice any. It appears that none are in the coach car. I'm assuming that there were some in the Park car. The fine "Canadian Railway Observations" website has made available a 4-part series on the history of CP's The Canadian and VIA's Canadian. 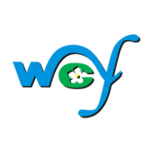 This is an awesome find Flugel! What a wonderful summary of the history of this train. Thanks for posting! I'm not sure I've mentioned this on the forum, but in the past 2 Christmas's I took the 'Canadian' from Winnipeg-Kamloops as my way of going home. I've got lots of photos on my computer that I've been meaning to post. The more that I ride the train, the more I grow to disdain doing the trip by airplane! There is something magical about taking the train, not to mention how comfortable it is, and the cool people you meet. I will also mention - the very first time I took the train 2 years ago, it left 14 hours late from Winnipeg, due to poor weather, freight trains, and issues with Engineers only being able to work for so long. Because of this, I got a full credit for the trip, as well as a free dinner in the Dining Room car! That was a real treat. When one books the train on a 50% off sale, it is about the same price as flying (a little cheaper, in economy of course). Regardless of some of the lengthly delays that I've experienced, it is completely worth it, and I plan to keep taking the train home for Christmas as long as I can! 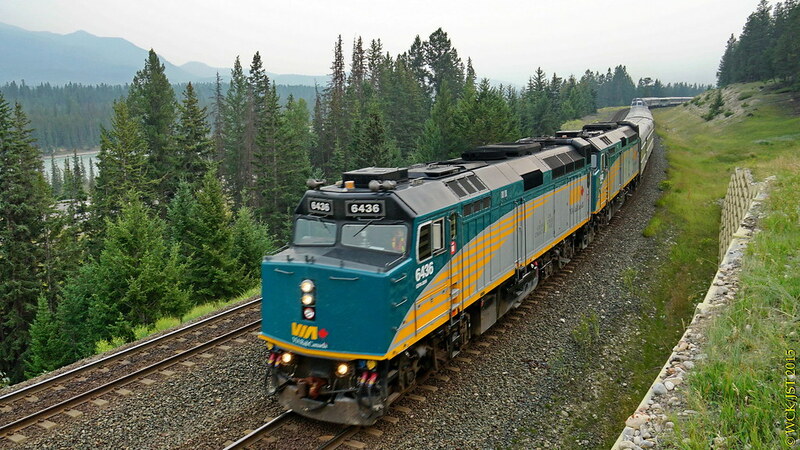 Via Rail's Canadian, train #2, just east of Jasper, Alberta - 26 August 2015. Please 'click' on photo to go to video on Flickr. 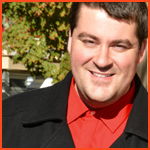 The video shows Team-Thorne in action. My wife and I had a similar collaboration close to this same spot, this time last year. A few shots from a January round trip to Toronto on VIA's Canadian. 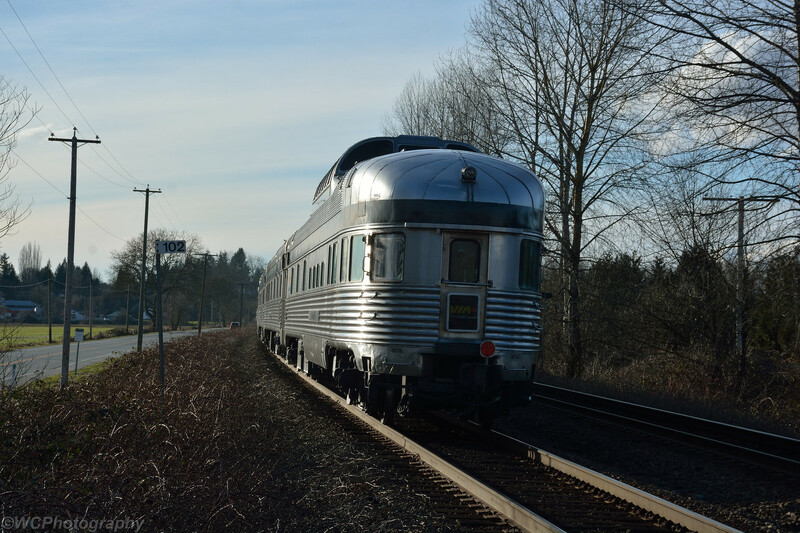 Yes – we do have passenger rail service in Canada. I recently had the opportunity to travel with VIA Rail in Ontario and Quebec, and holy cow, what a difference. For better or for worse, the laid-back atmosphere that I am used to in the west was replaced by a fast-paced commuter feel, focused on punctuality and on-time performance. 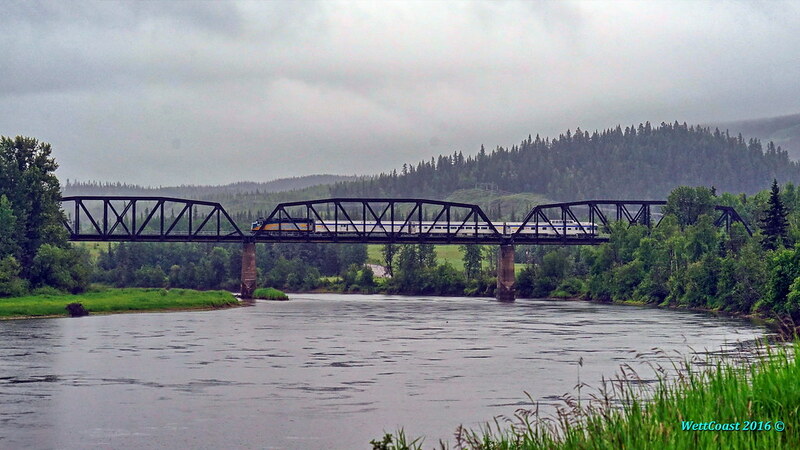 Trains took precedent over freight trains at pretty much all times during the trip (Ottawa-Quebec City), and the snack-bar food was waaayyyy better, but I did miss that easy-going, light-hearted atmosphere that you can find on the Skeena and the Canadian. 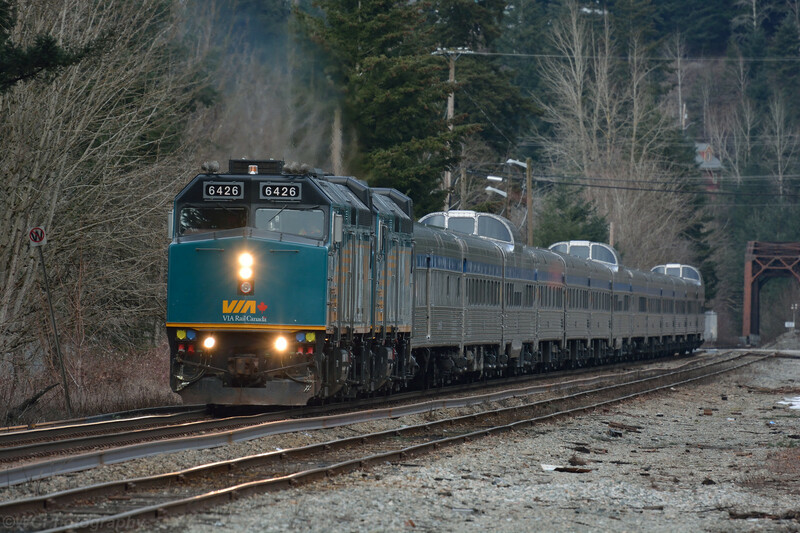 There is disappointing news for those wishing to travel across Canada on VIA's legendary Canadian. The Park Car, that iconic tail end car, is now restricted to Prestige class passengers in all but the winter months. A real shame in my eyes as this was where I spent almost all of my time on my many trips on that train. To give you an idea of the difference is costs I include the following one way fares for travel between Vancouver and Toronto in July. Hang on, it is a shock!! coach seat, no meals, no shower---$761. 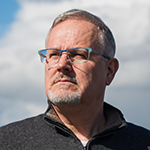 VIA Rail's fare structure has always been somewhat of a tough pill to swallow for me, especially when stacked up against Amtrak, the American counterpart. Additionally, stacked up against flying, Air Canada produces far lower fares if you book more than a few weeks in advance. VIA often argues that they are selling an experience - but in my eyes, they are a subsidized transportation service, not a tour operator (looking at you, Canadian). I travel a lot, and subsequently look for value wherever I can find it, and VIA is not that (at least in the west - their eastern operations are a different story). For those of you who still want to experience the Park car without paying that outrageous rate, you can still ride the Skeena. When I traveled on the Skeena and Canadian over a year ago, I managed to scoop a $147 total fare from Prince George to Vancouver, a trip that took about 48 hours (flying for 1 hour on Air Canada/WestJet is $127 base fare, $108 during seat sales). 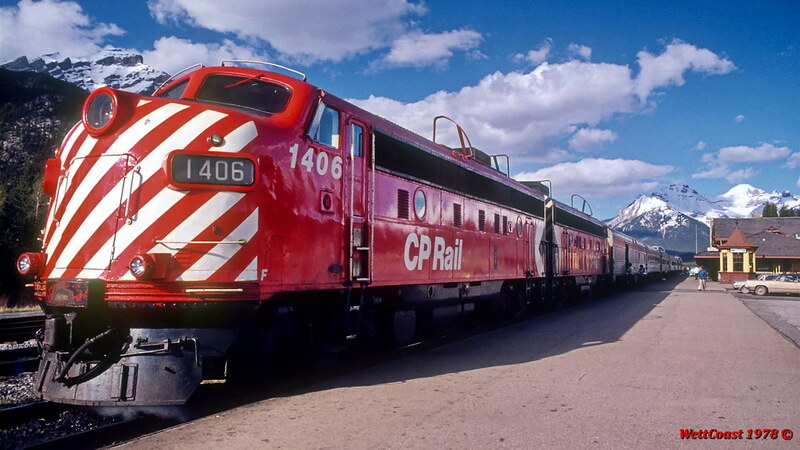 CP # 1406 leads the west bound Canadian, holding the main line @ Banff, Alberta, on CP's Laggan Subdivision - 12 May 1978. In those days the Canadian was a CP route train, and ran seven days a week. CN's cross Canada passenger train (via Jasper) was named the Super Continental, and also ran daily. Another of those posts where a simple "like" is not enough. Thanks for posting this, and of course for being into this stuff back in 1978. I love the look of The Canadian cars with the red-stripe. A question from a non-train geek! 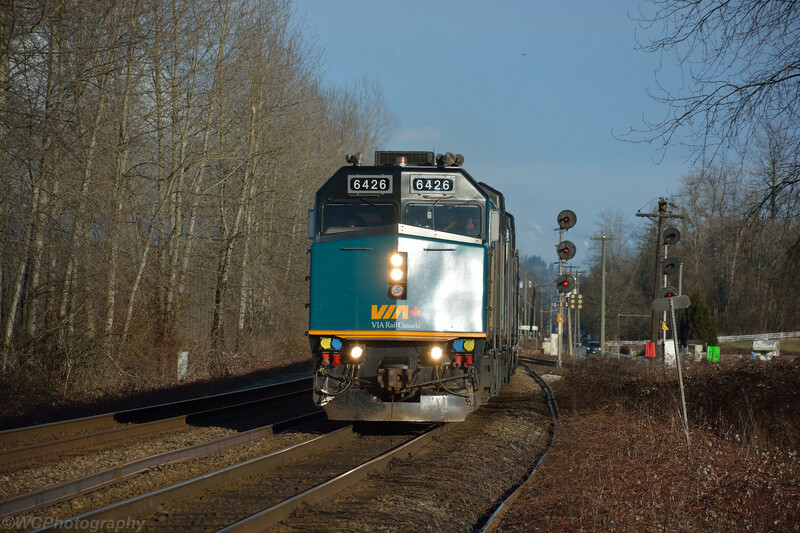 We were driving the Lougheed Highway out by Mission today and as we were passing the West Coast Express station in Mission I noticed some VIA Rail signs on some of the gates and fences. 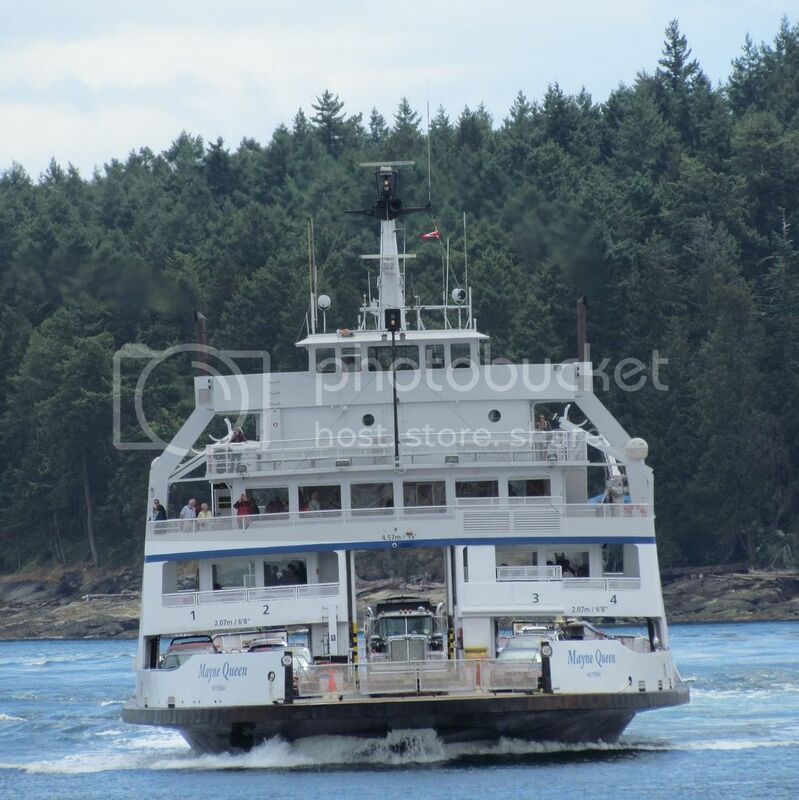 Does the Canadian ever travel on north side of the Fraser River? I thought I remembered someone posting a nice shot of a VIA Rail train passing by an old train station on the north side of the Fraser once, but I couldn't place it. Just wondering why there would be VIA signs out there as I was under the impression the Canadian only took the tracks south of the Fraser through the valley, obviously since there's a stop in Abbotsford. Yes it does. It takes CN tracks all the way to Mission, where it uses the rail bridge there to cross over to CP rails to begin directional running. Eastbounds use CP rails and Westbounds use CN rails from Mission to a point near Ashcroft, where each company's trains return to home rails. 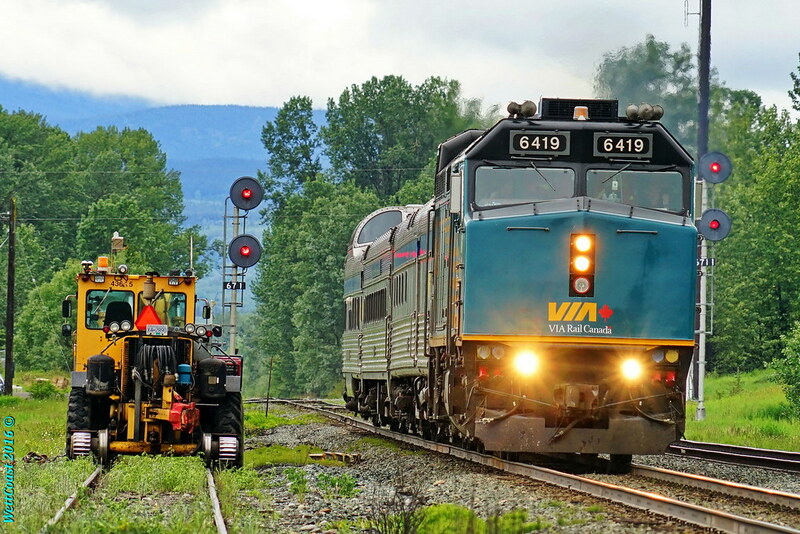 VIA trains use CN tracks in BC. Crew change & a meet. 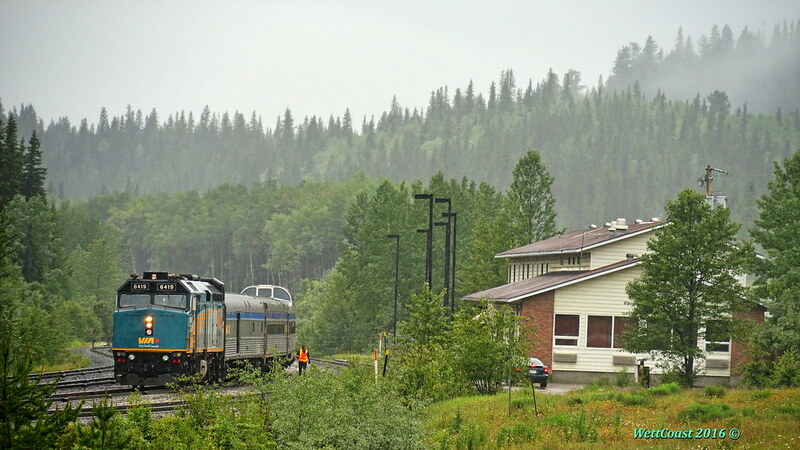 Via Rail's train # 6, the east bound 'Skeena', waiting @ Endako, BC, for a meet with a west bound loaded coal train & a crew change - that is a CN crew bunkhouse on right. Endako is the Division Point between CN's Nechako & Telkwa Subs. 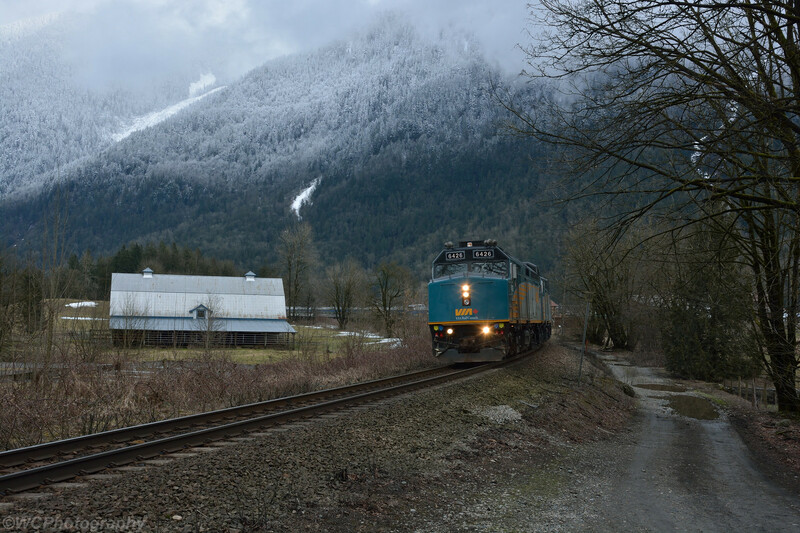 Via Rail Canada's train #6, the Skeena, east bound on the station track @ Smithers, BC - 26 February 2017. That is Smithers' landmark Hudson Bay Mountain in the background. 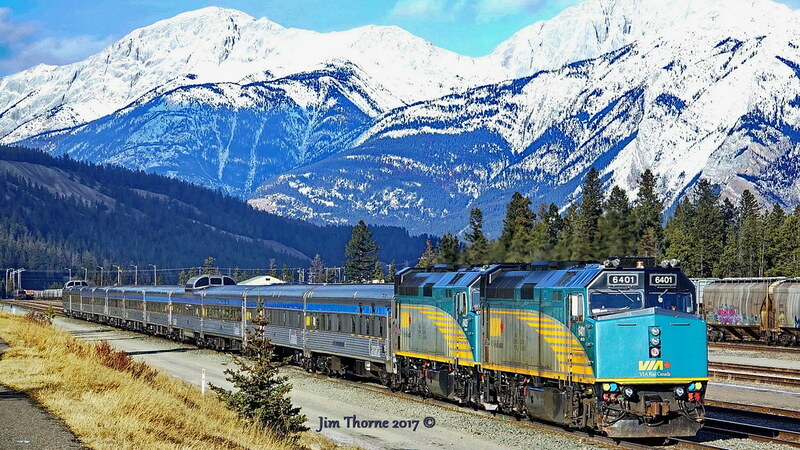 Via Rail's west bound Canadian arriving @ Jasper, AB on CN's Edson Subdivision - 28 February 2017. 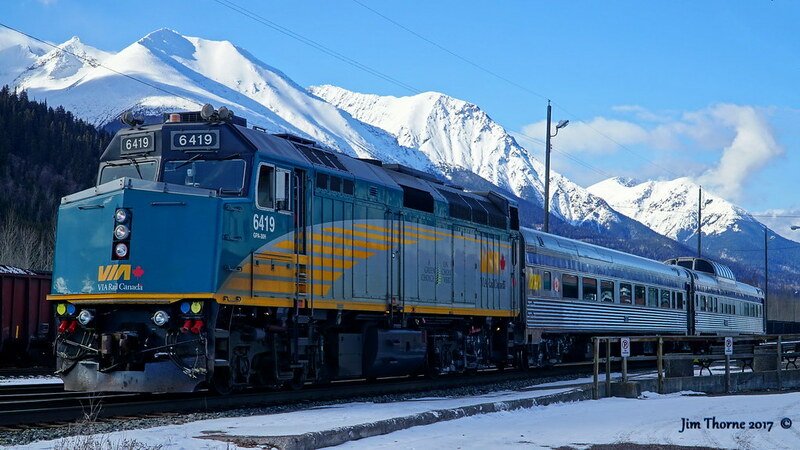 This train was running about 2.5 hours behind schedule when it reached Jasper Today's train (March 4th) is forecast to arrive in Vancouver about 8 hours late, meaning there are opportunities for some daylight photography in the Fraser Canyon & Valley. Here are some photos of the March 4 edition of the westbound Canadian. As WettCoast mentioned in his post, it was running about 8 hours late, but further delays caused by a stopped freight waiting to cross the rail bridge at Mission, and track work being done meant it reached Pacific Central 9+ hours late. I hope I am reading the budget incorrectly - it is a bit more ambiguous than usual - but it looks like Via got no capital funding of significance in today's federal budget. In fact it seems like capital funding (buying new stuff) is reduced over the previous few years? For context Via is subsidized for the tune of roughly $280 million / year. That's $840 million in three years. Capital funding is sporadic but in the bad times is $90 million ish. So that's $270 million in three years. The total there is $1.1 billion and change. The budget allocation for '17 - '20 appears to be $867 million. Hmmm. From the budget plan, "
2017–18, to support its operations and capital requirements." Looks like one of VIA Rail's long-haul routes is done for the foreseeable future. Some major flooding damage on the Winnipeg - Churchill track has put it out of commission until next spring or longer. According to VIA they'll still be running between Winnipeg and Gillam (about 3/4 of the way to Churchill), but I don't think a trip to Gillam, Manitoba is on many people's bucket list.